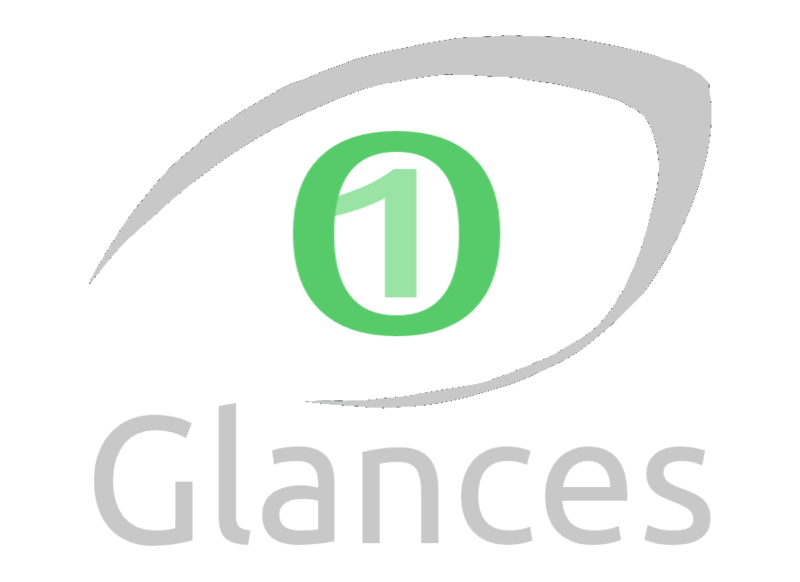 Glances includes a XML-RPC server and a RESTful JSON API which can be used by another client software. 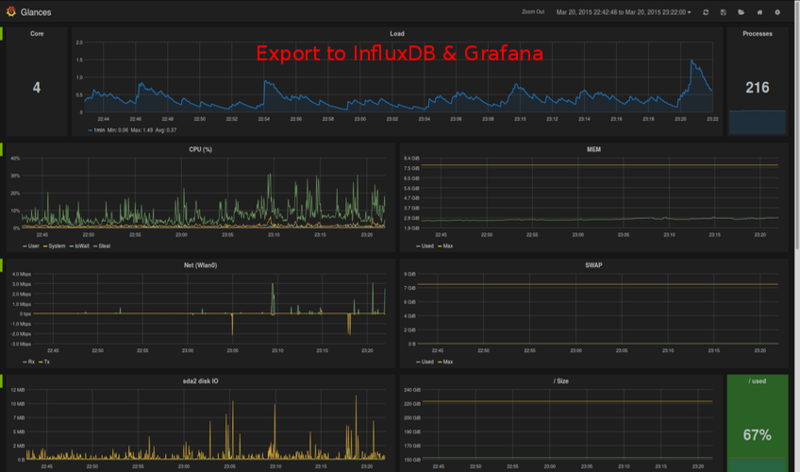 Export all system statistics to CSV, InfluxDB, Cassandra, OpenTSDB, StatsD, ElasticSearch or even RabbitMQ. 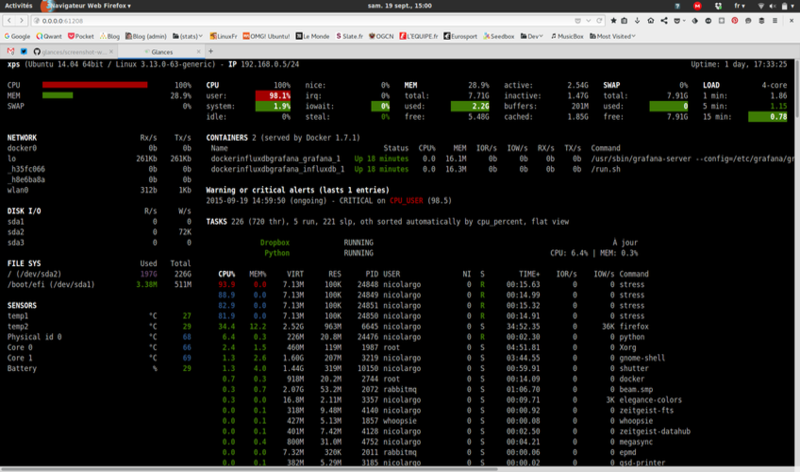 Glances also provides a dedicated Grafana dashboard. 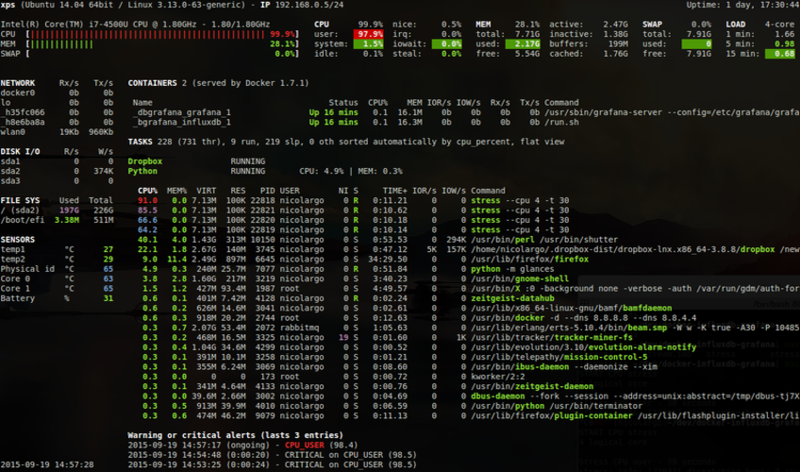 Note: Only supported on some GNU/Linux distributions. Others methods ? Read the official installation documentation. 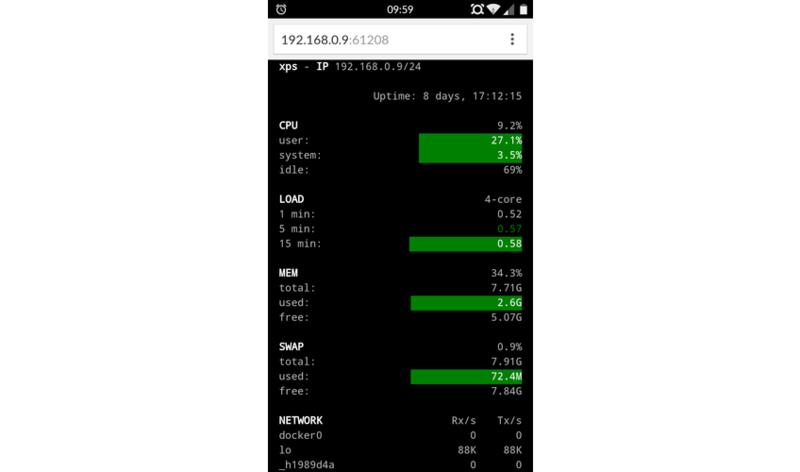 Get help from others users or from the Glances developers and stay in touch with us. But never forget : always RTFM! You want more informations or contribute to the Glances project ? Look at our user manual and the development wiki.